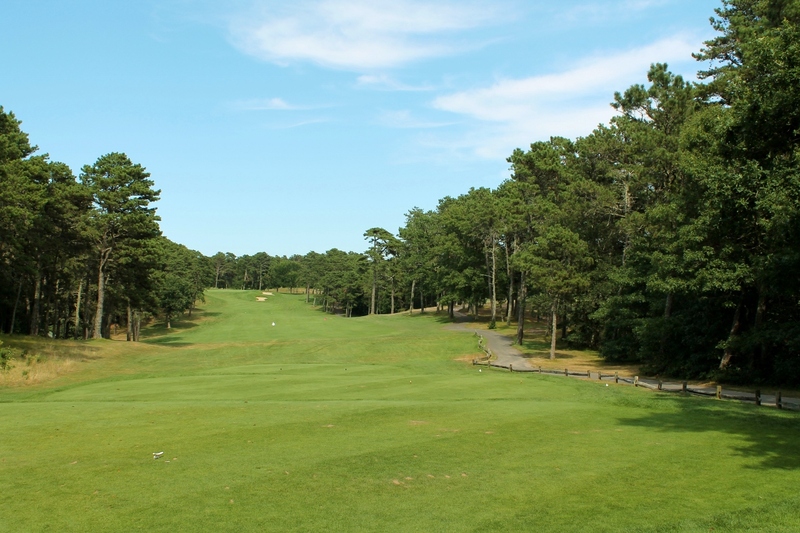 If you’ve got golf on the brain, you’re going to fall in love with ‘old Cape Cod,’ where you’ll find many of the best golf courses on Cape Cod are located within minutes of Seadar Inn. Closest to the inn, just a mile away, is the Harwich Port Golf Club which bills itself as a ‘friendly neighborhood walking course,’ an apt description for this 9-hole, par-34 public golf course. The rustic pro shop belies the condition of the well-kept fairways and pristine greens which have made the course a popular destination for players looking for a quick but challenging round. The sun sets over Harwich Port Golf Course on a fall afternoon. In the next town over, you’ll find another 9-hole course; Chatham Seaside Links. As the name implies, this golf course offers epic views of the ocean as you work your way over the hilly, emerald green layout. Originally built in 1895, it was owned for many years by Chatham Bars Inn, the famed oceanfront resort. The public course is now owned and operated by the Town of Chatham with Johnson Golf Management overseeing day-to-day operations. Novice players will appreciate the availability of lessons with PGA Pro James Rondeau, and seasoned players will find the course offers enough of challenge to keep things interesting. 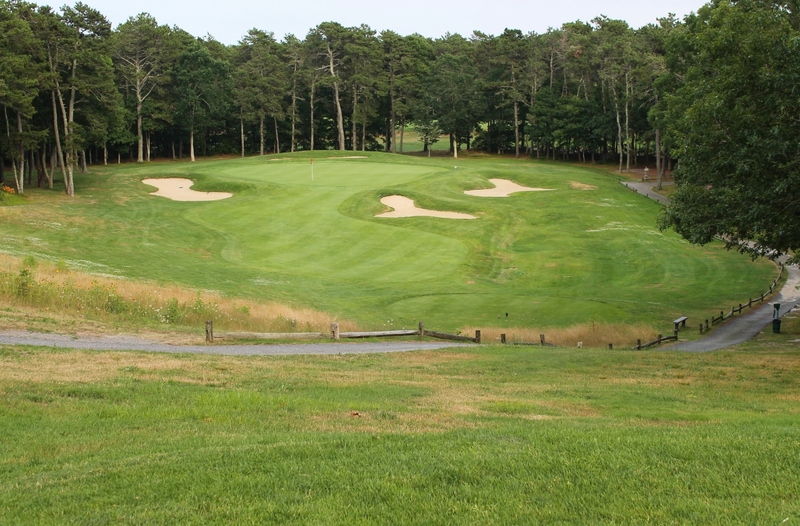 Yet another 9-hole public course worth checking out is the in Truro. It’s a bit of drive, but the chance to play on the oldest Cape Cod golf course, and the only true Scottish-style links course here, is well worth the effort. Consider the sweeping views of the Atlantic Ocean and Highland Lighthouse an added bonus. Head over to South Yarmouth, and grab the chance to play one of the most celebrated par-3 golf courses on Cape Cod, if the not the country. Blue Rock Golf Course makes frequent appearances on respected ‘best-of lists’ and with good reason. Beautifully landscaped with water hazards around every dogleg, Blue Rock is an executive course with a layout that will have you reaching for every club in your bag. Blue Rock Golf Academy, headed by PGA Pro Patrick Fannon offers lessons for players of every skill level and every age – kids included. An on-site restaurant, The Grille Room, serves breakfast and lunch, and the lounge awaits for a post-round cocktail. 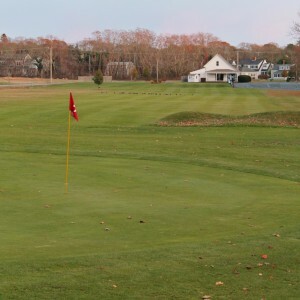 If you’re looking for a regulation-size, 18-hole Cape Cod golf course, you’ll find several to choose from within an easy drive of Seadar Inn. 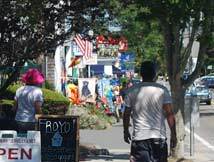 The Town of Harwich owns and beautifully maintains Cranberry Valley, which is just three miles from the inn. The course offers all of the amenities you’d expect to find at an upscale private golf course on Cape Cod, but Cranberry Valley is open to the public (prime tee times are reserved for members in the peak season). The par-72 course includes a driving range and putting green and a fully-stocked pro shop. An outpost of the extremely-popular Hot Stove Saloon, in Harwich Port, is located at the course and will prove the perfect pace to hoist an after-round beer. Whether it’s in celebration or solace will depend on your game. Attractive afternoon and twilight rates are offered for non-members. The 3rd hole on the Starboard Course at Captains Golf Course. In Brewster, you’ll find not one, but two 18-hole regulation-sized courses at the town-owned Captains Golf Course. Whether you opt for the Port Course or the Starboard Course, you’ll find tricky fairways and sloping greens that will test your mettle. A driving range, which is nearly as beautifully landscaped and maintained as the courses are, is located right across the street. Several putting greens mean you can always find a spot to practice and an onsite restaurant, Ardeo’s Capt’s Café, means you’ll always have a place to eat, drink and be merry as you come off the course. A wide range of PGA-Pro-led lessons round out the offerings at Captains. Afternoon and twilight rates, and back-9 play, can lessen the impact on either your wallet or your vacation itinerary…or both. 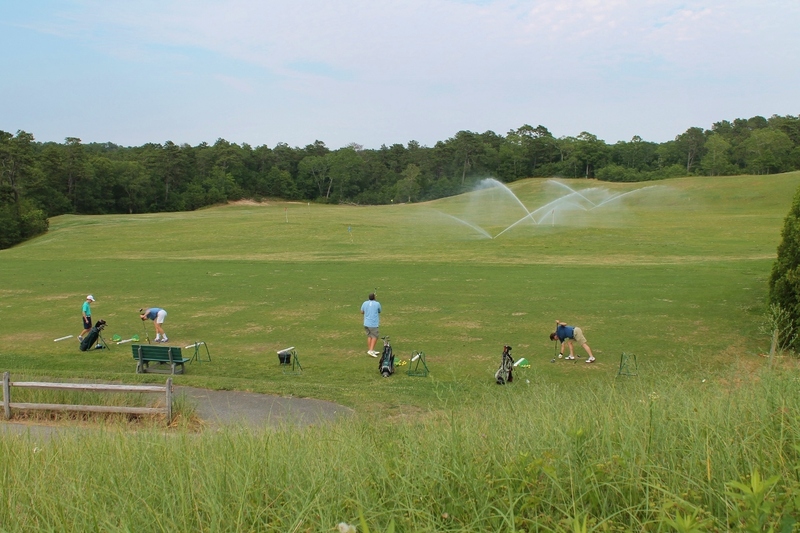 The driving range at Captains Golf Course is the perfect place to polish your shot. 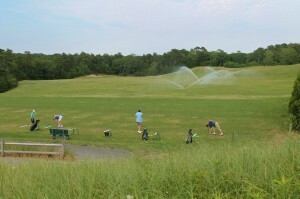 The Town of Dennis also maintains two public golf courses on Cape Cod; Dennis Pines and Dennis Highlands. Located within two miles of each other, Dennis Pines plays to a regulation par-72 and has its own version of “Amen Corner.” Dennis Highlands, the slightly more forgiving layout, plays to a par-71. Each course has a clubhouse with a restaurant and pro shop, as well as putting greens and a driving range, and offer discounted green fees in the off season and afternoon. 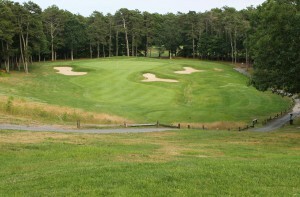 For more information on these, and many other, Cape Cod golf courses, visit the Cape Cod Chamber of Commerce or www.golfadvisor.com.